A veteran actor, playwright and film director, Ossie Davis, grew up in Waycross, Georgia and attended Howard University for three years before leaving to pursue an acting career in New York City with the Rose McClendon Players (1941-1942). Within a year he was inducted into the military (1942). While stationed in Liberia in the Medical Corps and Special Services, he wrote several musicals. Upon his return to civilian service in 1945, he landed a role on Broadway in Jeb giving a performance that launched his professional career. He also met fellow performer Ruby Dee, his future wife and lifetime mate of over 50 years. Davis and Dee became legendary for their involvement in theatre and civil rights and for their contribution to the American stage, television, and film industry. In black theatre circles, they became known affectionately as “the first couple of black theatre.” Davis and Dee worked together as actors on stage, screen, television (often appearing in the same shows), hosted television shows, starred in Broadway plays, and had fulfilling film careers. 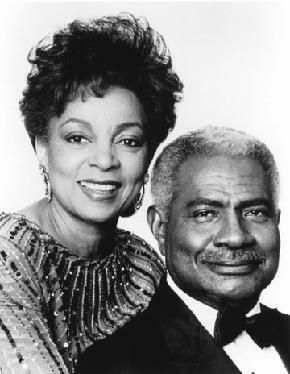 For five years they had their own radio series, Ossie Davis and Ruby Dee Hour. Ossie Davis was also a playwright and director. His best-known play, Purlie Victorious (1961), was a satire on black and white stereotypes in the South. Among the other plays Davis wrote were Alice in Wonder, a drama in one act (1952). Set in the 1950s during McCarthyism, an African American television actor is asked to testify before a congressional committee. A year later Alice was expanded into a three-act version entitled The Big Deal. Curtain Call, Mr. Aldridge Sir (1963) is a dramatic reading in one act highlighting the life and career of Ira Aldridge, the eminent black Shakespearean actor of the early 19th century. The University of California/Santa Barbara produced it with Davis and Dee in the cast in the summer 1968). Escape to Freedom (1976) is a full-length historical play for children about Frederick Douglass, the famous abolitionist and orator. It opened at Town Hall in New York City (March 1976). Davis also wrote Langston: A Play in 1982, a full-length biographical drama about playwright-poet-short storywriter Langston Hughes. His play, Bingo (1985) is a full-length musical based on William Brashler’s book, Bingo Long’s Traveling All Stars and Motor Kings (made into a film in 1976), about the rise and fall of a black baseball team of the 1930s. One of Davis’s first plays, Montgomery Footprints (1956), was a one-act drama about the Rosa Parks incident that spearheaded the bus boycott in Montgomery, Alabama, led by Dr. Martin Luther King.